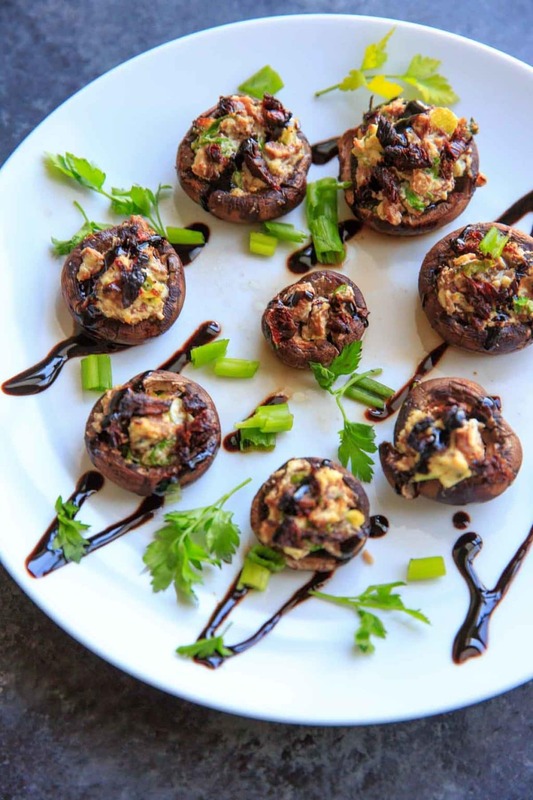 Chevre Stuffed Mushrooms with Sun-dried Tomatoes are an easy finger food or appetizer that is full of flavor! 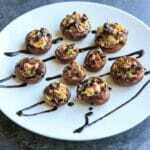 Option to mix it up with flavored goat cheese or sprinkle with herbs and balsamic vinegar. Mushrooms – you either love ’em or you hate ’em. But if you LOVE them, this recipe is for you! Hardly do I ever do anything with mushrooms besides saute or put in a salad. So I set out to change that. 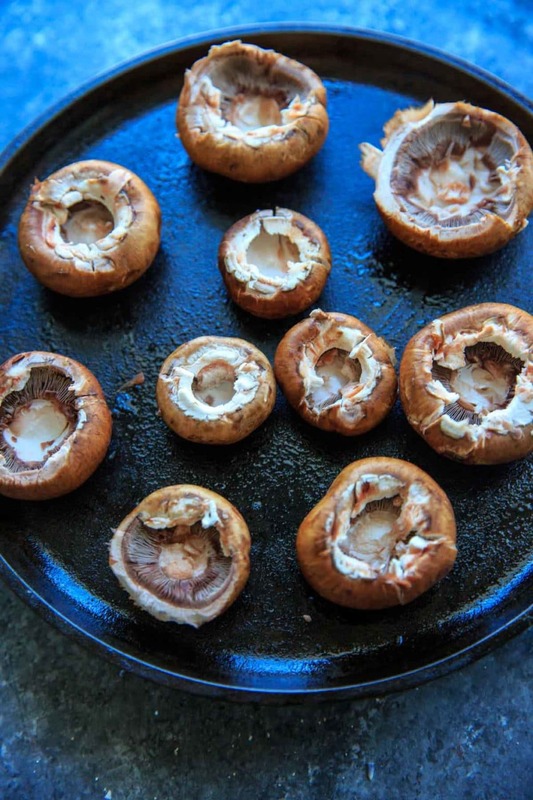 Turns out stuffed mushrooms are super easy – AND customizable. My basics here are: chevre goat cheese (flavored is even better), sun-dried tomatoes, chopped green onion, fresh parsley and balsamic vinegar. Chevre is a goat cheese that can be found in many flavors, especially at places like Trader Joe’s. 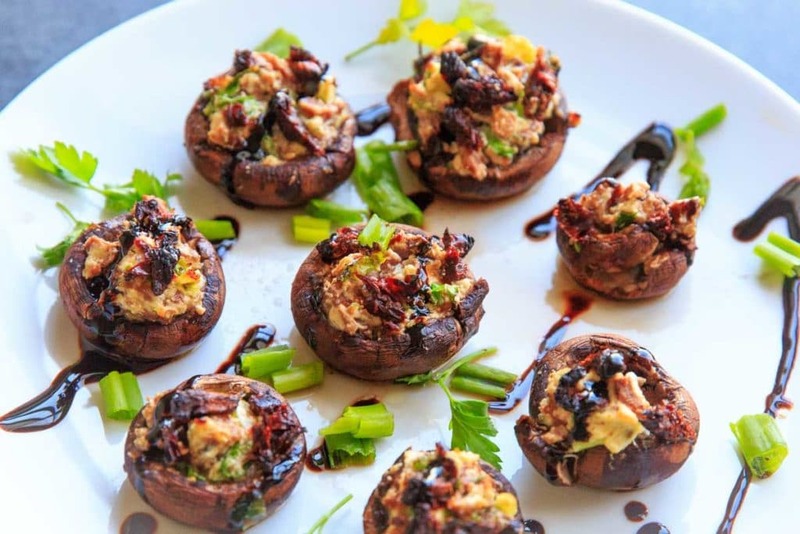 My favorite with these stuffed mushrooms is a sweet and spicy blend – jalapenos + honey. If you can’t find a flavor you’re looking for you can always just mix it in by hand! Baking time is not exact – you’re really just trying to get the stuffing hot and the mushrooms tender. 10-15 minutes should work for smaller mushrooms (these are baby belle). Also – I thought the balsamic vinegar/ glaze would serve more of a presentation purpose, but it also gave a great finishing flavor. Keep in mind balsamic vinegar will be a bit messier than glaze. Would be a great vegetable side items with this meatless ziti recipe. Along with some fresh parsley, the red and green is like Christmas on a plate! So this would be a great holiday appetizer as well. 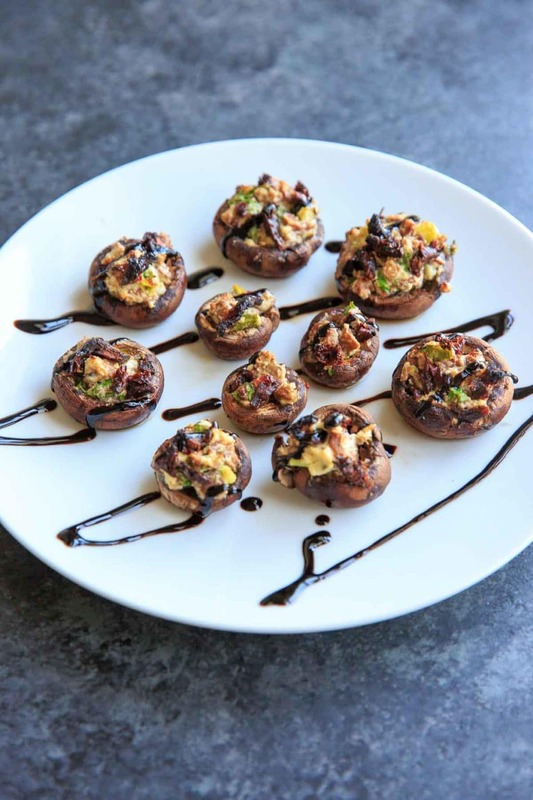 Have you ever tried stuffed mushrooms? What’s your favorite flavor combination? Rinse and dry mushrooms. Remove stems from mushrooms and chop. 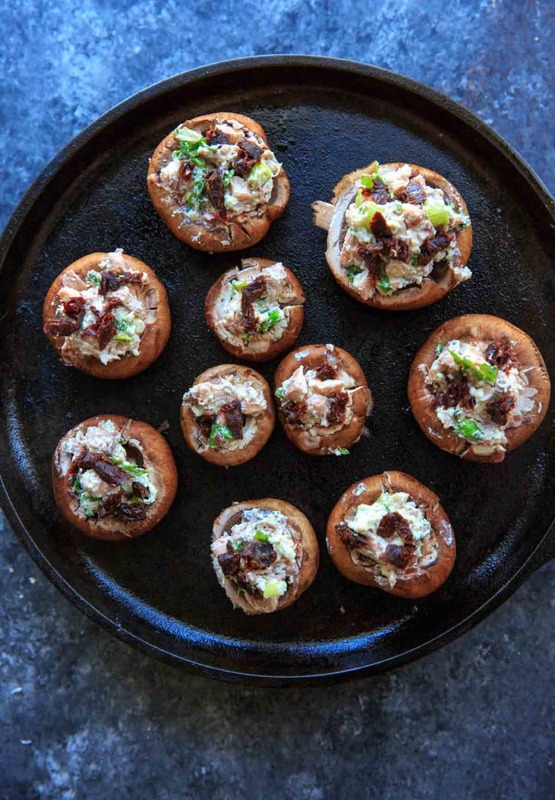 In a small bowl, combine mushroom stems, chevre cheese, chopped sun-dried tomatoes and green onion. Stuff mushroom caps with goat cheese mixture. Bake on a cookie sheet or cast iron griddle at 400°F for 10-15 minutes until browned. Garnish with fresh parsley, balsamic glaze, and more green onion if desired. If you can't find a flavored chevre you want, mix in your own flavors to a plain chevre. Minced jalapeno, honey, your favorite herbs and spices are idea starters for options. Looking to add some crunch? Add some walnuts on top! Just made these flavorful mushrooms with a few modifications using what I had on hand – fresh sage, green onions, white pepper, bread crumbs and chèvre cheese with za’atar from Trader Joe’s. I used oversized Bella mushrooms. Delicious! Love the fresh sage and your choice of chevre! That’s what I love about these, you can change them up with what you have on hand.